The Grundtvig partnership “InterContext: Contributions of Civic and Cultural Education in Disadvantaged Local Contexts” explored how civic and cultural education can promote social cohesion and local development in disadvantaged local contexts. The partners analysed and compared their working contexts and exchanged experiences and know-how in order to develop approaches to strengthen participation, cooperation and to train key competences for participation. At local level the partners developed different projects concerning local development and social cohesion based on the needs and particularities of their context and work. Metropop! (France) with the aim of ethnological methods and volunteers made a research in Paris on the question of patrimony in “Banlieue”. Zeitpfeil e.V. (Germany) explored in a study the question of youth participation in Berlins neighbourhoods’ managements. Intergracijas centrs (Latvia) developed a training module for community managers in Latvia. Laimikis.lt (Lithuania) developed a set of communication tools (community initiatives) designed for the strengthening of participation in the wooden neighbourhood of Snipiskes (Šnipiškės) in Vinius. 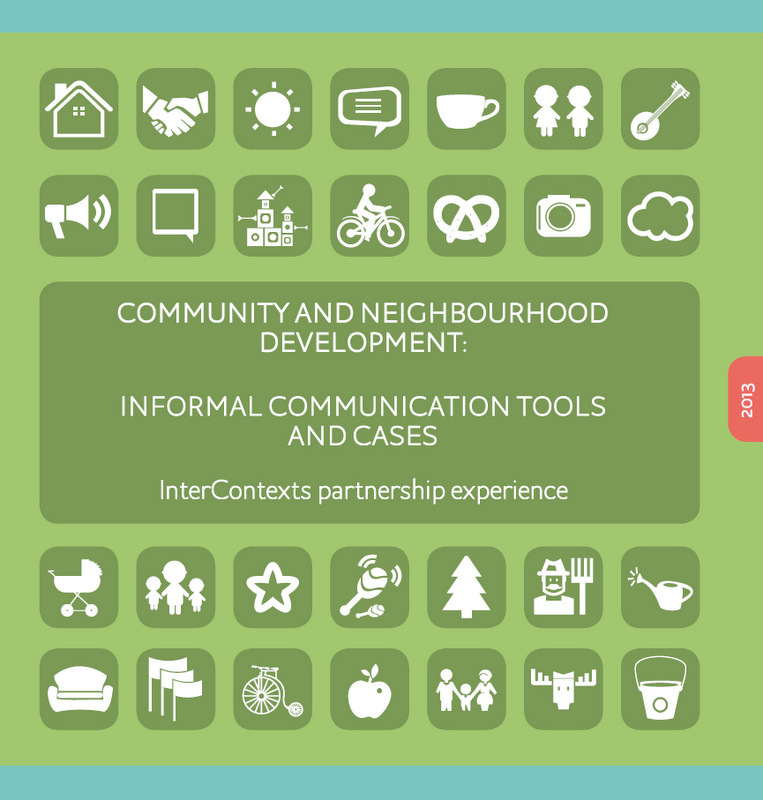 At international level based on this exchange a booklet “Community and Neighbourhood Development: Informal Communication Tools and Cases” was developed in English and German. After examining their different working contexts, theirs methods and tools, the partners realised that communication in the community/neighbourhood is always one of the basic elements of success of any social and cultural participative project. Moreover it is a clear sing of social cohesion.